Please let me know what you think of any of the products in this post that you may have tried and any other recommendations you might have to help me create my perfect base face! I've had a very busy couple of days with SUPAS (Sheffield University Performing Arts Society) meetings and taster sessions, along with other drama related things so actually really need to do some work tonight as I don't want to leave it all till Sunday evening...I'd much rather be partying at Pop Tarts though! I hope you've all got far more exciting Saturday nights planned! 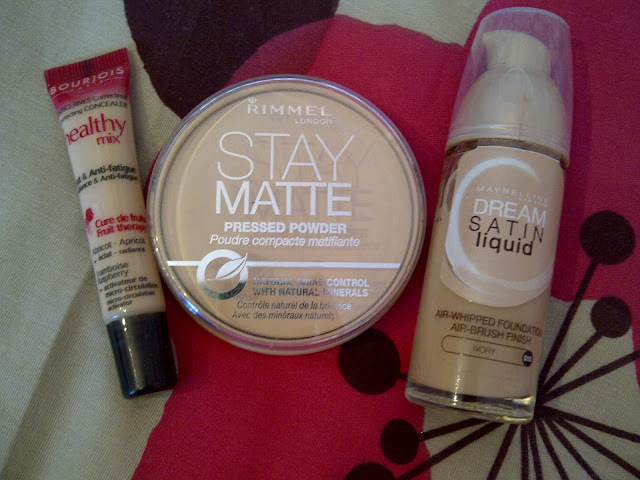 I'd also recommend Rimmels new Wake me up foundation. It's on offer for 5.99 instead of the usual 8.99 in Boots at the moment! Definitely try the collection 2000 concealer, I don't think I'll ever use another one again!